Presenting at 5 and 6 PM, Joe Lastie's New Orleans Sounds. Lastie played his first job with a rhythm section backing the Desire Community Choir. He also studied jazz with Willie Metcalf at the Dryades Street YMCA, where his classmates included the young Wynton and Branford Marsalis. In 1969 he moved with his family to New York, where he took lessons from Clyde Harris through the public schools. His drumming improved enough to earn him a gig with the pit band for the New Orleans Broadway musical One Mo’ Time. Lastie returned to New Orleans after high school and picked up a steady gig with bassist Richard Payne’s band. 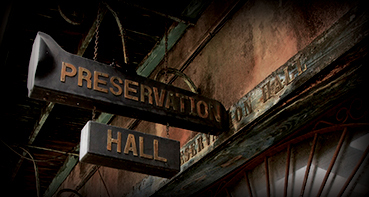 On a tip from trumpeter Gregg Stafford, Lastie was invited to substitute at Preservation Hall in 1989; he has been a regular drummer with the band since then.